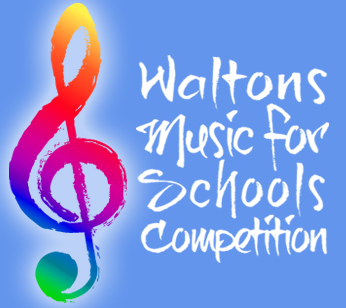 2015 WALTONS MUSIC FOR SCHOOLS COMPETITION LAUNCHED! Liz Nolan announces the launch of the 2015 Waltons Music for Schools Competition – A National Competition & Celebration of Music in Irish Schools, supported by Waltons Music, Waltons New School of Music and RTÉ lyric fm. Primary and post-primary schools have four months (entry deadline 13 February 2015) to prepare a piece or song (all music genres welcome) and enter! The fourth annual Waltons Music for Schools Competition will award a total of €10,000 worth of vouchers for musical instruments, accessories, books, music technology or PA equipment from Waltons Music. Awards will be divided among six winning primary and post-primary schools, including two first prizes of €3,000 vouchers, and music groups from twelve Finalist schools will have the fantastic opportunity to perform in the National Concert Hall! We invite primary and post-primary schools around the country to participate in this initiative, which is intended to incentivise, celebrate and support music in schools nationwide. So whether you have an existing music programme and would like to enhance it or would like to start a music programme in your school, this is the place to start! Friday, 13 February 2015 Entry deadline. Schools submit a video of a single ensemble piece or song (no more than five minutes long) performed by an instrumental, vocal or mixed group. Friday, 20 March 2015 Twelve Finalist schools announced by Liz Nolan on RTÉ lyric fm’s Classic Drive programme. Monday, 11 May 2015 Finalists Concert and prize-giving at the National Concert Hall. 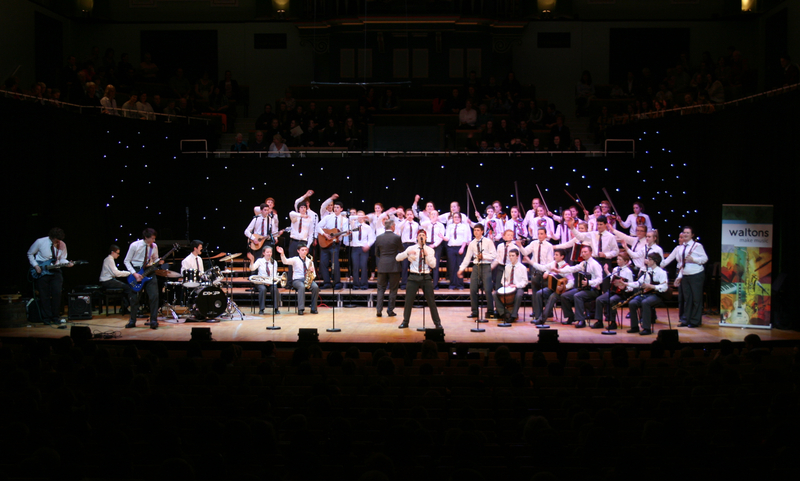 2014 post-primary winners, Borris Fusion from Borris Vocational School, Carlow performing on stage in the National Concert Hall in May. BLIND BOYS OF ALABAMA AT THE NATIONAL CONCERT HALL TONIGHT! The evening we’ve all been waiting for! It’s your last chance to get tickets for the concert of the season at the National Concert Hall. 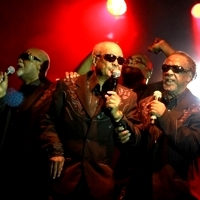 The legendary Blind Boys of Alabama will be raising the roof. Here’s a flavour of them singing Tom Waits’ amazing theme for ‘The Wire’ – ‘Way Down in The Hole’ . . . Get your gospel juices flowing! They’ll be supported by the fantastic Gardiner Street Gospel Choir. Look forward to some cool jammin’ at the NCH tonight. WALTONS WORLD MASTERS GOSPEL COMPETITION WINNER ANNOUNCED THIS AFTERNOON! Listen in to Mooney on RTÉ Radio 1 this afternoon (3 – 4.30pm), when the winning choir of the third nationwide Waltons World Masters Gospel Competition will be announced. 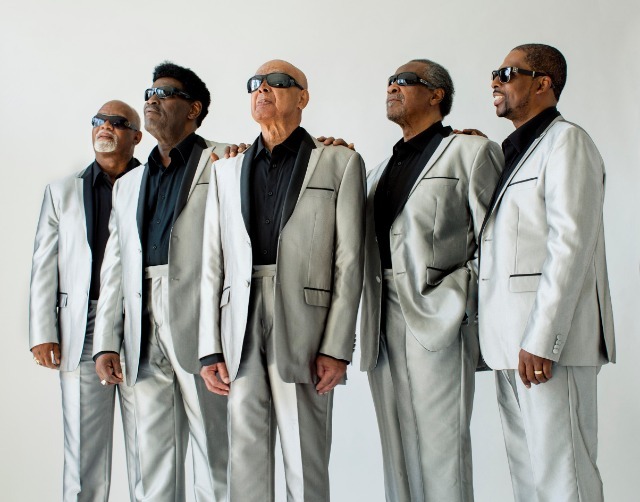 They’ll support gospel legends the Blind Boys of Alabama at the NCH on Wednesday, 21 May! WALTONS MUSIC FOR SCHOOLS 2014 FINALISTS ANNOUNCED! The 12 finalists in the Waltons Music for Schools Competition who will perform on May 12th in the National Concert Hall were announced by Liz Nolan or RTÉ lyric fm yesterday evening so, for those of you who missed the announcement, here they are again. Congratulations to all. And remember – if your school wasn’t a finalist there’s always next year! We’re looking forward to the Finalist Concert when the schools will be judged by Bill Whelan and Julie Feeney to win music vouchers, including 2 top prizes to the value of €3,000 for their schools. WALTONS MUSIC FOR SCHOOLS FINALISTS TO BE ANNOUNCED TODAY! The day all you Primary and Post-primary schools have been waiting for! The 12 finalists in the Waltons Music for Schools Competition who will perform in our May 12th Finalist Concert in the National Concert Hall will be announced by Liz Nolan on RTÉ lyric fm this evening. Six Primary and six Post-primary schools have been chosen by judges from Waltons Music, Waltons New School of Music and RTÉ lyric fm to perform with the chance of winning musical instruments and/or equipment to the value of €10,000! Congratulations on all your wonderful entries – the judges had their work cut out for them. Once the announcement is made, the Finalist schools’ names will be posted up on www.waltons.ie and www.newschool.ie and soon after Finalists’ video entries will be put up on the competition’s You Tube channel. So tune in to Liz Nolan on RTÉ lyric fm this evening for the exciting news. A big ‘thank you’ to Primary and Post-primary schools from all over the country who submitted entries for the third annual Waltons Music for Schools Competition! We are looking forward to announcing the finalists on RTE Lyric fm on April 4th and our Finalists Concert in the National Concert Hall on Monday, 12 May 2014, when Bill Whelan and Julie Feeney will select the lucky winners of music prizes to the value of €10,000! WHAT’S TO LOOK FORWARD TO IN MAY & JUNE . . . . ? Three unmissable World Masters Concerts! Check out these three amazing concerts in the Waltons World Masters series coming up in May and June. 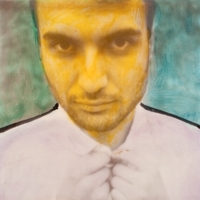 Tigran Hamasyan A truly original jazz talent, pianist, composer and singer Tigran Hamasyan came to Ireland for the first time in 2012, at the age of 24, to perform a solo concert for the World Masters series of astonishing range and depth. He returns with his trio for one night only in Ireland. Click here for more information. The Blind Boys of Alabama: Living legends of gospel music, the Blind Boys of Alabama return to Ireland and the World Masters series for another roof-raising evening, supported by an Irish gospel choir/group selected through the third nationwide Waltons World Masters Gospel Competition! Click here for more information. 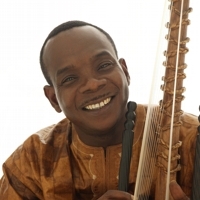 Toumani & Sidiki Diabaté: Channelling equal parts Miles Davis, Jimi Hendrix and ancient griot tradition, Toumani Diabaté is one of Africa’s most gifted musicians and quite simply the greatest kora player in the world. For this very special concert Toumani shares the stage with his son, rising kora star 22-year-old Sidiki Diabaté. Click here for more information. ATTENTION ALL POST-PRIMARY & PRIMARY SCHOOLS’ MUSIC TALENT! Do you want to improve your school’s music programme? The March 14th entry deadline for the third annual WALTONS MUSIC FOR SCHOOLS COMPETITION is now SIX weeks away, so a music group from your school still has time to prepare a video entry and form to be in with a chance to perform in the National Concert Hall as a finalist in front of Bill Whelan and Julie Feeney (our Finalist Concert judges) and possibly win a voucher for up to €3,000 worth of musical instruments for your school! ALL MUSIC GENRES WELCOME – ROCK, POP, CLASSICAL, TRAD, JAZZ, ETC. For more details click here. JUDGES ANNOUNCED FOR WALTONS MUSIC FOR SCHOOLS FINALISTS CONCERT MAY 2014! 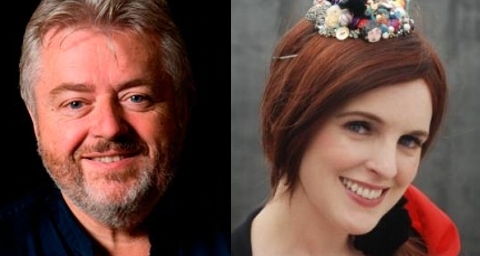 We are delighted to announce that Bill Whelan and Julie Feeney will be the adjudicators for the 2013-2014 Waltons Music for Schools Competition Finalists Concert, taking place at the National Concert Hall on Monday, 12 May 2014! We would like to thank these two distinguished figures in the Irish music world for their support of this fantastic competition. With a closing date for entries of Friday, 14 March 2014, schools still have plenty of time to harness their music talent, prepare their entries and be in with the opportunity not only to perform at the National Concert Hall but also to win a voucher from Waltons Music to the value of €3,000! With Waltons Music vouchers totaling €10,000 to be won, this is an experience not to be missed. Click here for more details. Presented by Waltons Music, Waltons New School of Music, RTÉ lyric fm and supported by the National Concert Hall, the annual Waltons Music for Schools Competition is a unique initiative intended to incentivise, celebrate and assist music in schools nationwide. The deadline for entering this year’s Competition is Friday, 14 March 2014. The twelve Finalist schools will be announced on RTÉ lyric fm on Friday, 4 April. And the Finalists Concert and prize-giving will take place on Monday, 12 May.